12€ di sconto per te! 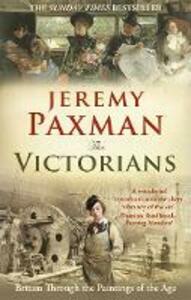 Jeremy Paxman's unique portrait of the Victorian age takes readers on an exciting journey through the birth of modern Britain. Using the paintings of the era as a starting point, he tells us stories of urban life, family, faith, industry and empire that helped define the Victorian spirit and imagination. To Paxman, these paintings were the television of their day, and his exploration of Victorian art and society shows how these artists were chronicling a world changing before their eyes. This enthralling history is Paxman at his best - opinionated, informed, witty, surprising - and a glorious reminder of how the Victorians made us who we are today. Fuori tutto: film da 3 a 5€!